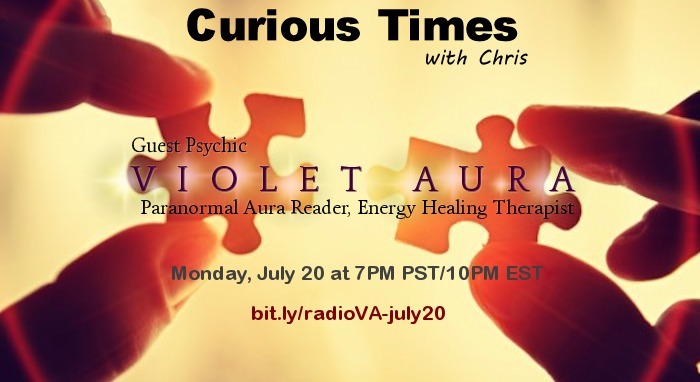 On Monday, July 20th 2015, I had the rare opportunity to discuss my diploma and designation as a Master Herbalist (MH) for a moment with my host Chris at Curious Times Talk Radio. 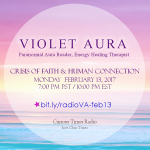 Talking about Holistic healthcare; especially nutritional balance for the body, was a welcome discussion to address as we then segued into talking about my abilities as a Paranormal Aura Reader to assess the health of a person on a more spiritual level. 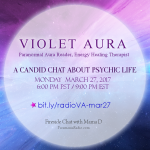 On the program, I shared what some of the differences are between paranormal aura reading and other types of aura reading. 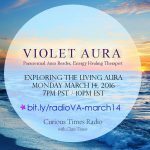 I also explained how different aura readers can sense aura energies that are emotional of physical which can result in aura readers seeing different colors. 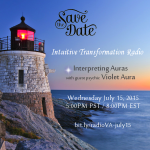 Towards the end of my time on the show I was able to do some mini readings for listeners, which is always a pleasure. The show was filled with amazing energy, and I am grateful for having the opportunity to share my work. 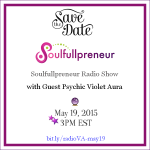 I look forward to returning as a guest! 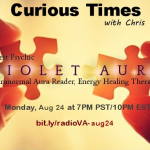 If you have questions about the human aura, its functions or how it is seen by a paranormal aura reader such as myself who sees aura light, I look forward to your questions. You can post questions for me below in the comments, or at this link on my Facebook Page. I will do my best to respond. Enjoy the show! Blessings of love and light.